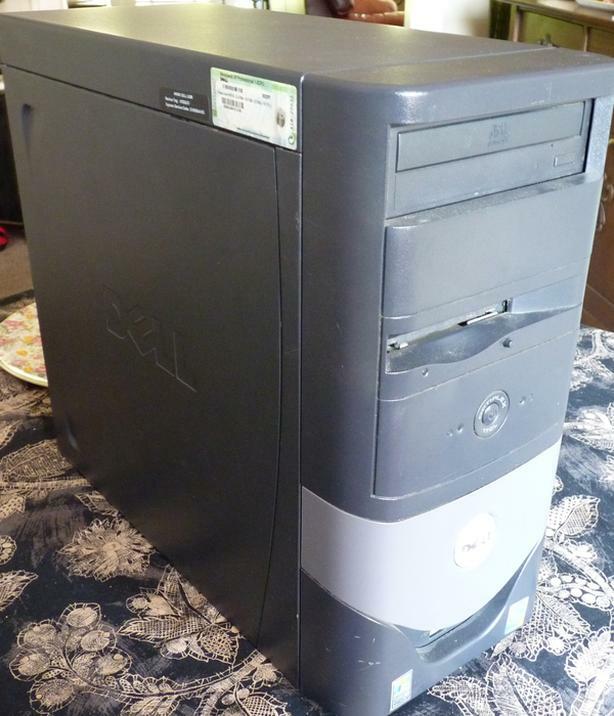 This is a Dell computer with a genuine Intel processor, dual hard drives, and CD burner. The power supply has been recently upgraded to a newer unit. The primary hard drive is a small Western Digital 10,000 rpm Raptor, with a secondary Western Digital drive, for a total storage area of more than 70 GB. This is a nice Windows 7 system, with one GB of system DRAM, ideal for web browsing, email, and video streaming. The price includes the tower only, but I also have monitor, mouse, and keyboard at a small additional charge.